The Lake George village can be a busy place! If you need to find a restroom check out our list of Lake George public bathrooms below. Very Nice Public Restrooms and Visitor Center next to Shoreline Cruises on the corner of Canada Street and Beach Road. 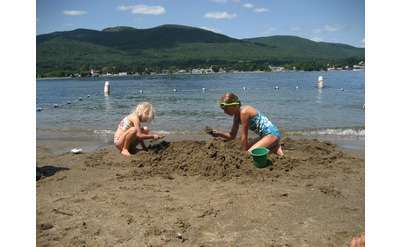 Veteran's Memorial Park Beach is just a half mile north of Rogers Memorial Park Beach on Lake George. The public recreation area features a beach, a park pavilion, picnic tables and grills, and more. In the heart of the village, behind the fountain and the outdoor stage, you will find the most popular "free" beach... Shepard Park Beach with public restrooms and playground. Just past Million Dollar Beach on Route 9L is Usher Park Beach in Lake George, NY. This public beach is quieter & ideal for parents with small children who are concerned with safety. It features a picnic area, tennis courts, playground & restrooms.